This area was first settled in 1846 by Scotch and English settlers. Some of those original settlers’ descendants continue to live in the neighbourhood today. By 1866, the community was a post village of the township of North Gower situated on Stephens’ Creek, 6 miles from Osgoode Station on the Ottawa and Prescott Railway, and 22 miles from Ottawa. It was considered part of Rideau Township for many years prior to its amalgamation with the City of Ottawa in 2001. 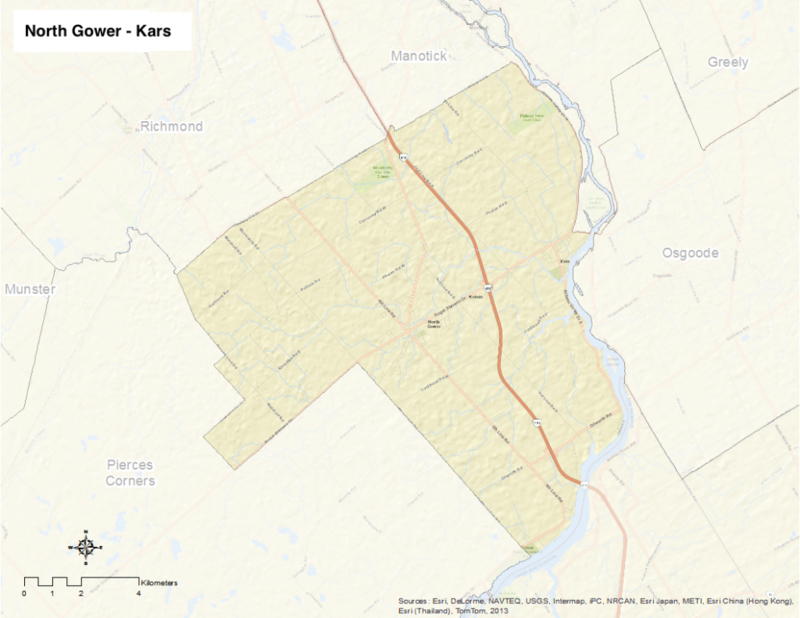 The neighbourhood of North Gower – Kars is now an official Village within the amalgamated City of Ottawa and includes the communities of North Gower, Kars, Mills Corners, Goodstown, and Carsonby.